In an exclusive interview with Encomium magazine, P-Square music duo speak up on the circumstances surrounding their mother’s death. 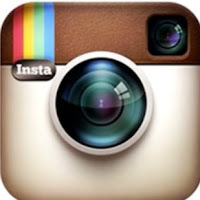 P-Square’s mother, Mrs Josephine Okoye passed away on the 11th of July, 2012 after a brief battle with diabetes. She has been diabetic for years, and when it started many months back, we got good doctors to treat her in Jos. But when we couldn’t get good result, we brought her to Lagos. We took her to St Nicholas Hospital and everybody who went to see her in the hospital cried. She had lost a lot of weight and couldn’t recognize us. She called me Jude. I can never forget that day. She went through a lot and gradually she got stabilized thereafter she was moved to the intensive care unit (ICU) and she spent two to three weeks there. So we thought of moving her to South Africa, India or the US for proper check up. We eventually took her to India about four weeks ago and we talked every one hour. The Indian doctors made sure to clean everywhere before the surgery, and the operation was successful. Our sisters who were with her confirmed this to us and we were very happy to hear the good news. She was okay before the eventual death and for a day one of my sisters was unconscious because she couldn’t believe it. We wanted to travel to India the following day she died (Thursday July 12) but we changed our plans. Her body arrived Lagos on Sunday July 15th. No concrete arrangement yet on the burial. 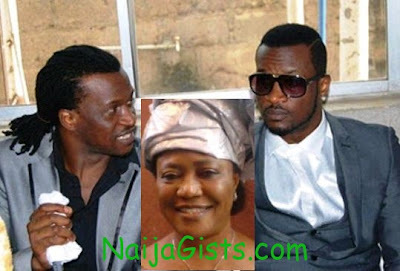 P-Square’s mom Mrs Josephine Okoye died in her early-mid 60s. She is survived by her husband, grandchildren and seven children. Stay in touch with NaijaGists.com for update on her burial. my question is has she be burial? May her soul rest in peace. May her soul rest in peace. But by the way, why are they referring her marriage as “married to a Jos based man”. Is the man not Ibo? Why are they not mentioning the mans name? . May God grant D family D fortitude 2 bear D loss…. May her gentle soul rest in bussom of thy Lord. Amen. So sad..May her soul rest in perfct peace.,amen. May her gentle soul rest in peace in d right hand of our lord n savour Jesus christ amen. may her soul rest n peace AMEN. Very touchin…….may her soul rest in d bossom of her maker!!!!! May her soul rest in enternal peace…guys have faith in God. may her gentle soul rest in peace bro. It happened at a time when you guys just hit the top associating top ranking Ill…..
but this one is so soon for okoya family. May her gentle soul rest in right hand of God. My own believe about the death of their mum is this….she have being sacrificed to Baphomet and there is no controversy that p square have being initiated into Illuminati……No sentiments attached and no hard feelings but may her soul rest in peace……………..
Only God knows the best, the way she died and what cause her death, but one thing for sure if any body is behind this must surely face the judgment. May her soul rest in perfect peace AMEN. this is so touching R.I.P rest in peace my best friend. may her gentil soul rest in peace amen!